Not everyone comes from a tightly knit earthly family. But when you became a believer, you became part of a heavenly family. What if I told you that you are now the fulfillment of promises given to other men and women long before you entered this world? Just what did those faith heroes of old see in the distance? Was it something tangible? I don’t think so. You do not wave at or greet things. You wave at and greet people! If we are to follow the example of our ancestors, we too must become farsighted. These heroes did not look at what was in their hands because they were too busy waving to something on the distant horizon. Such heroes are people of hope and conviction, for faith is the substance of things hoped for and the very evidence of things yet unseen (see Hebrews 11:1 KJV). We were the joy set before Jesus, and I often wonder if the heroes of old aren’t the very ones who are cheering us on. We are part of the final act in an ongoing story that began generations ago. 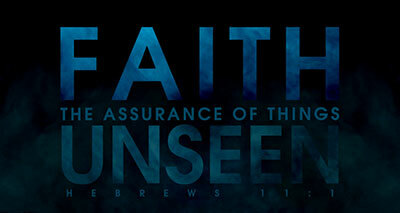 Hebrews 11 chronicles some of the amazing things done by great men and women of God. Today, all of their heroic acts are waiting to be completed when they are joined together with ours. So what do we contribute to the legacy of faith? Could it be that we bring the action to the words the people of old released? That we lay our hands on that which they received only in a figure? It is time we pray that the Lord of the harvest open our eyes and widen our gaze so that we too might see beyond the obvious and live out the actions of heaven’s warriors. You have been prayed in—and prayed over—for possibly much longer than you realize. May this revelation stir the faith seeded within your heart, and may the hope of who God has created you to be inspire you. When you look in the mirror, know that there is far more to you than anyone can actually see. You have been watched and waited for, and there is a heaven-breathed destiny on you in this moment. This week, take some time to read the stories of those celebrated in Hebrews 11. What did they establish that you can carry in our day? Invite the Creator to reveal the purpose He has for you. Ask for the faith to take your place in His legacy of heroes. You were made to be part of a beautiful fulfillment of the promises of God!